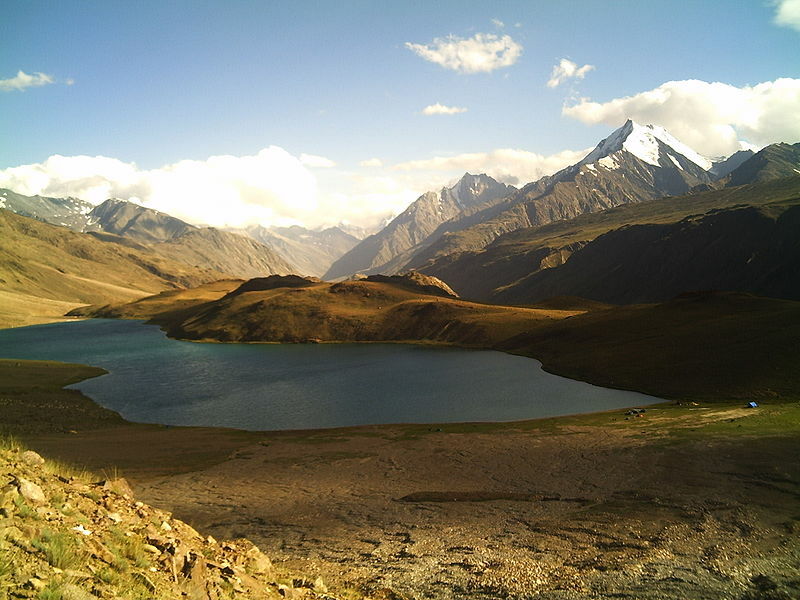 This Chandra Tal Lake should not be confused with the famous Chandra Tal Lake in Lahaul Spiti District of Himachal Pradesh. This Chandra Tal in Manali is situated at 4500 meters above mean sea level and can be visited by conducting a pleasant trek through beautiful forests and valleys filled with seasonal flowers. In this trek one gets to enjoy various Landscapes. Colorful Himalayan birds, species and flowers. We drive from Manali to Jagatsukh which is seven kilometers and once used to be the administrative capital of Kullu. It's a town seeped in history. From here a defined trek ascends towards Chikka along Jagatsukh Nallah. We will get to cross a few side streams and negotiate some dangerous sections below high rocks over deep gorges. We cross through thick forests and continue to gain height till we reach a flat land with beautiful green grass equally spread across a vast area. Now the path has become very easy as we have to keep on walking on green pastures till we reach Chikka (2900 meters). There is also a beautiful waterfall not very far from our campsite as well as few overhang rock shelters. After Chikka the trek climbs up to the beautiful camping ground of Seri (4000 meters). Seri is on the base of Deo Tibba (6001 meters). This area has some of the most beautiful variety of alpine flowers. Today we camp here at this this fairyland beneath a clear blue sky twinkling with a million stars and rising presence of the magnificent Deo Tibba. From Seri there is a few hours climb to the Lake and we will also cross a glacier before we head straight. There are two campsites one is called Tenta Campsite the other is beside the Lake. 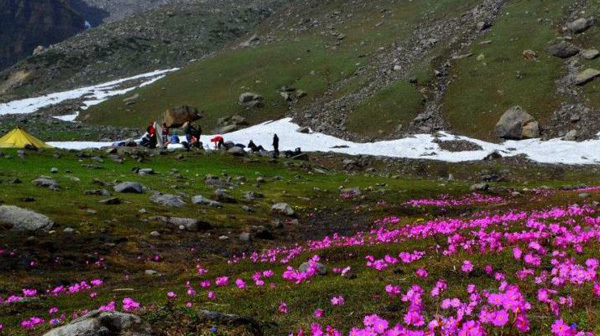 The flora enthusiast will have a wonderful time trying to Identify the hundreds of flowers growing everywhere, and the tiny lake provides some excellent view, of Deo Tiba and other peaks of Manali and Spiti ranges. - Leaving this wonderland behind, the trail descends downwards back to the forests that lie above Manali. Camp is at the village of Bhanara.